Happy Easter! 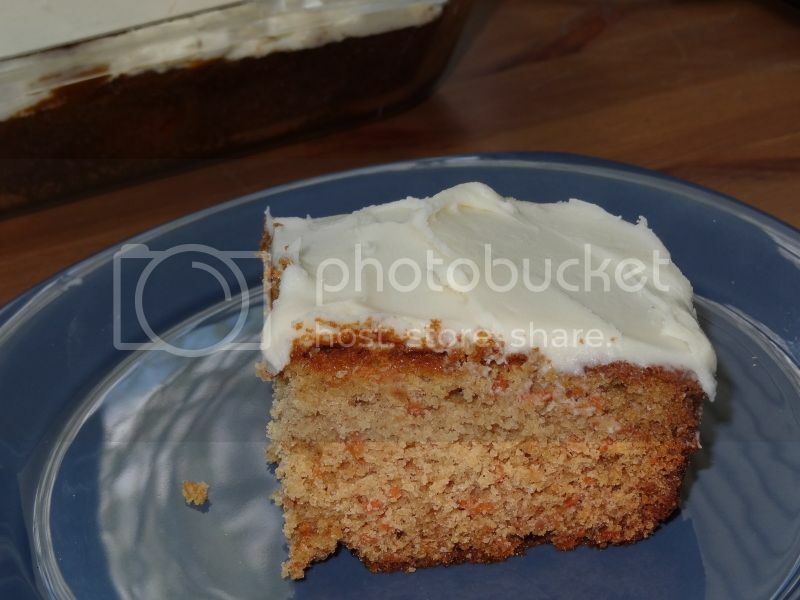 The recipe today is bunny-related--carrot cake! I wasn't the big fan of carrot cake growing up but I'm not sure whether I ever tried it. :) In other words, when given a choice of baked goods, I always choose chocolate. Then when I met my husband, I discovered that he was a fan of cakes other than chocolate. (*Gasp!) No, he's not a chocolate-hater, but I think he consciously or subconsciously believes that fruit or veggie baked goods might be better choices for dessert. Crazy, I know but I love him anyway. I found this recipe in a Cooking Light magazine nearly ten years ago. I probably selected it because it doesn't have pineapple or raisins in it. Not that those things are bad, but I'm hesitant to put liquidy things in baked goods and, well, raisins have their place somewhere else. Yes, I was incredibly opinionated about something I may not have ever tried. Years later, I've probably made this cake once every couple of years or so. It's a snack cake so it's a little heavy. 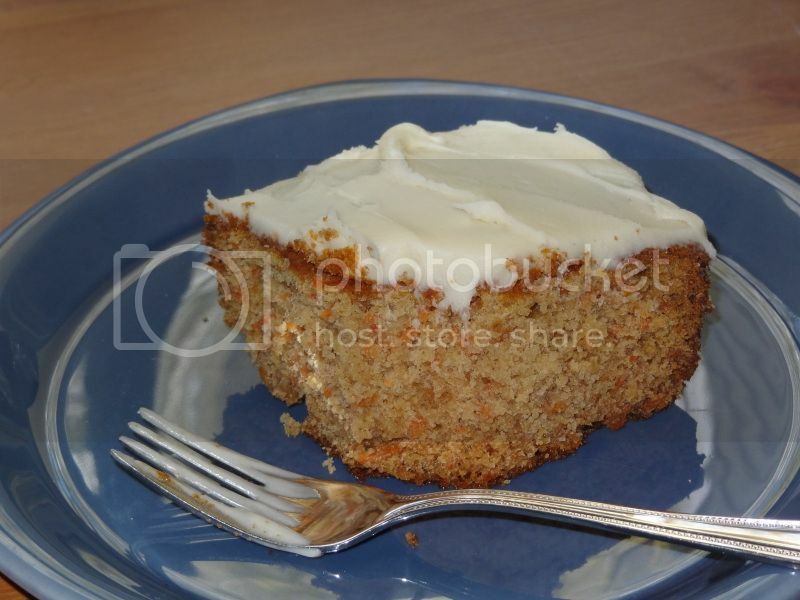 One of these days, I've like to make a layered carrot cake, but this cake is too dense for that. Still, incredibly tasty and it has carrots so you can pretend it's healthy. The frosting is also fantastic. 2. Spray 9 x 13" pan with cooking spray. 3. Using a mixer, beat butter and sugars until light and fluffy. Add eggs one at a time. Beat in vanilla. 4. In a separate bowl whisk together flour, baking soda and salt. 5. Add flour mixture alternating with buttermilk to sugar mixture, beginning and ending with flour. Stir in carrots. 6. Spoon batter into pan. Tap to remove air bubbles. Bake 30 minutes or until toothpick comes out clean. Cook in pan for 10 minutes, then completely on a wire rack. 1. Beat butter, cream cheese, vanilla and salt in a bowl on medium until smooth. Spread frosting over top of cake. Store cake loosely covered in refrigerator.